When you introduce your proboscis to the glass, you’re hit first with notes of wood grain. It’s light and sophisticated, like a really nice metal flashlight. But there’s notes of caramel and chocolate and coconut oil, too. It’s as if a brilliant Scottish marketer made a 1970’s suntan (you know, before people worried about skin cancer) the concept for a whisky. Put it in your piehole, and you realize this is for a sophisticated palate, not a piehole. So you put your piehole away and engage in furtive matchmaking between this whisky and your embouchure, and it all goes much better. It’s terrifically delicate, like a thyme infused flan. [Bill: Watch it wiggle! See it jiggle!] [John: Bill, you better be referring to the flan and not our server.] And drizzled over that flan is a clover gin made by snails and aged in their shells. As the experience of the mouth transitions to the finish, the whisky touches you on the shoulder and says, “shhhhhhh.” The finish is a baby’s nap, with hints of an artisanal, botanical formaldehyde used to preserve angels’ wings. The finish is downright desserty: savory and sweet, with more flan–this time a lilac one with cinnamon, served atop a Barolo reduction and set ablaze. It’s flantastic. 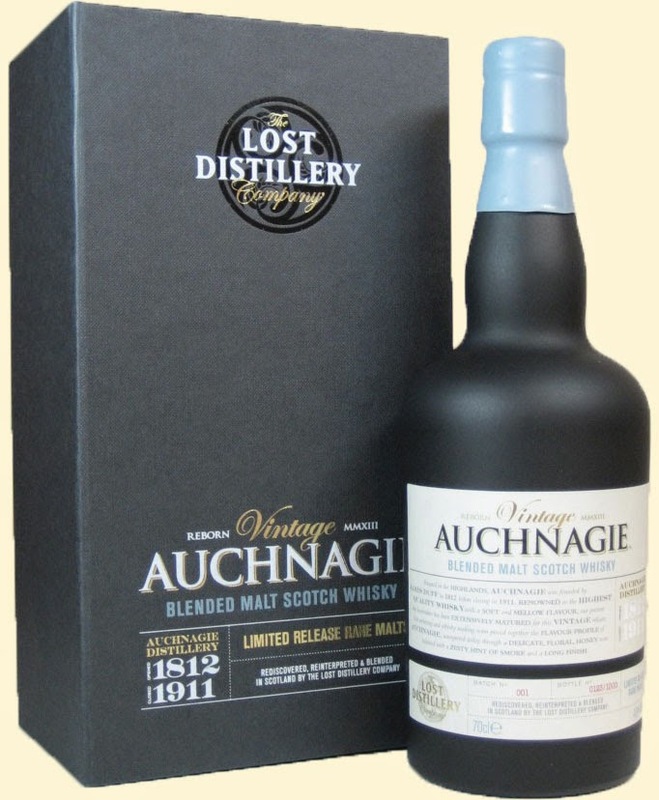 The Lost Distillery Auchnagie Vintage is the aqueduct–Flan was a contender here as well, of course, but this whisky is really good, and anyone with half a brain would rate fresh water and sewage systems (where there were none before) well above an eggy dessert that doesn’t even have chocolate in it. –Our thanks to Jeffery Karlovitch and the Lost Distillery for the sample!